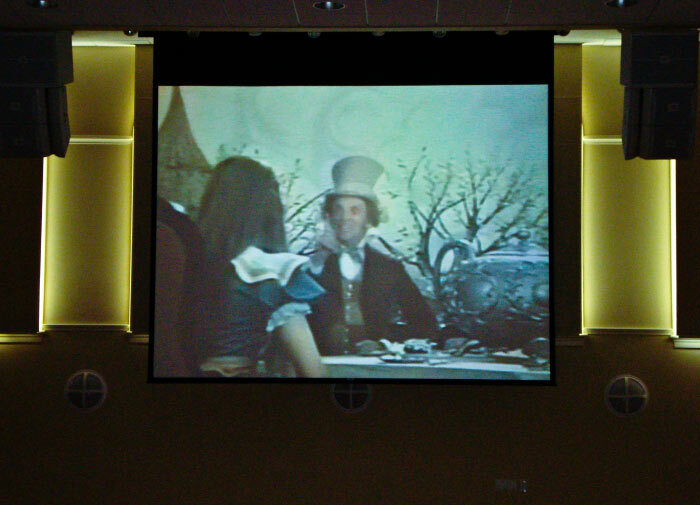 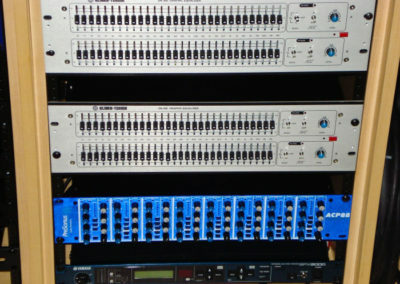 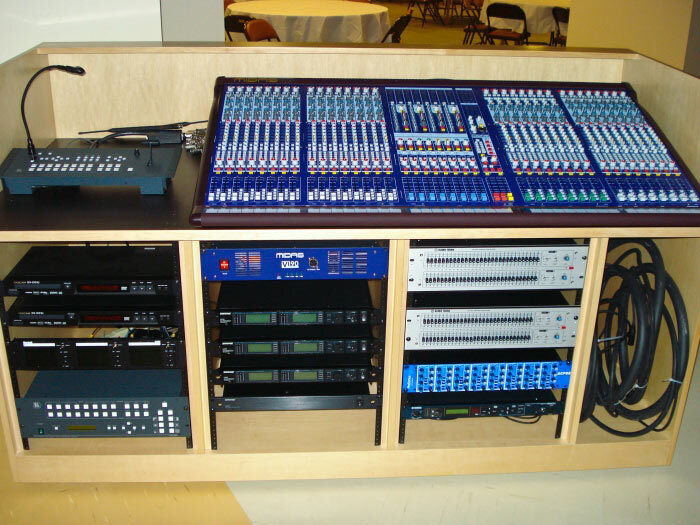 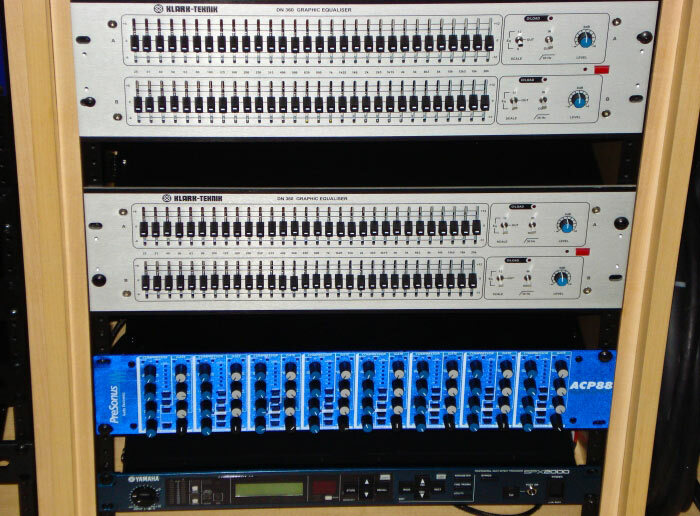 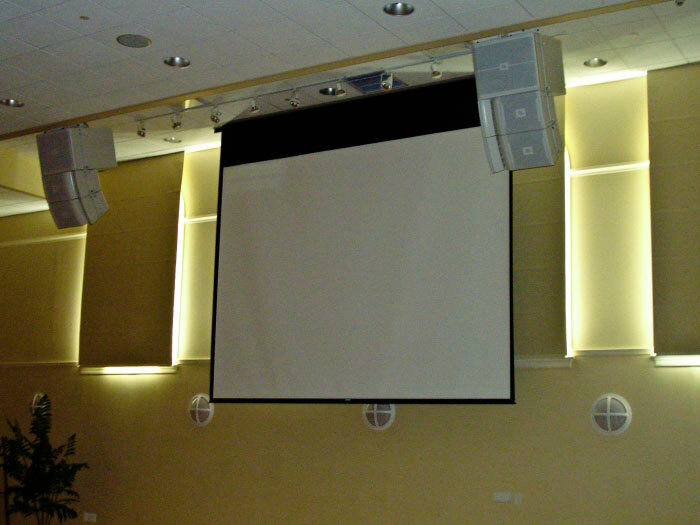 In order to enhance Haddonfield United Methodist Church's contemporary church services, which incorporate music and video, DFX installed a high-end sound system designed for live performances. 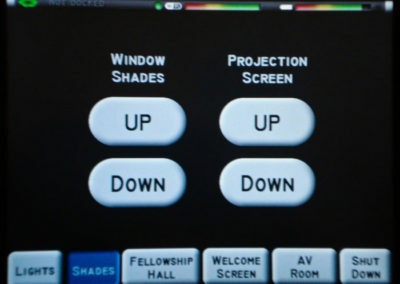 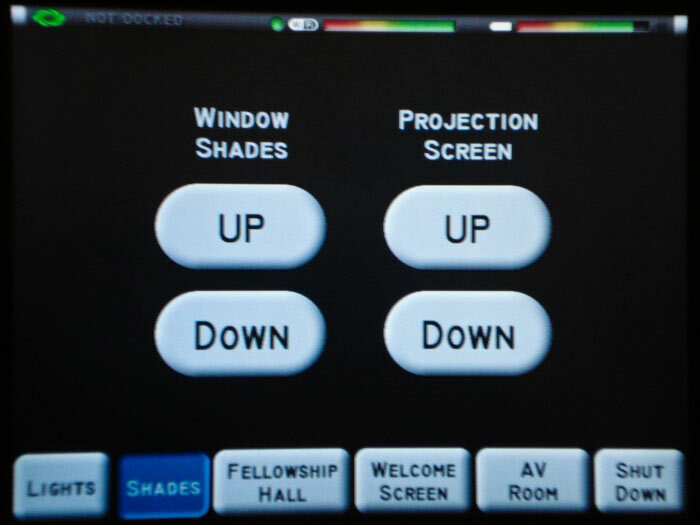 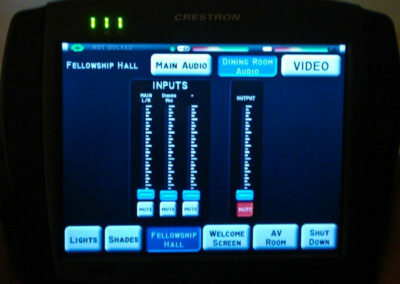 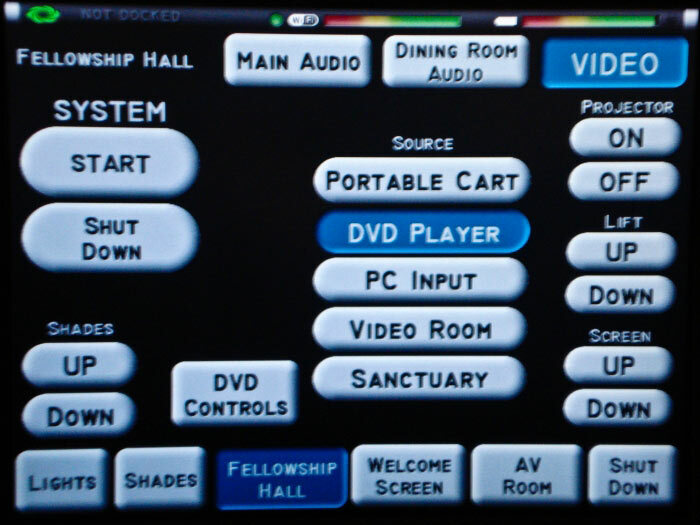 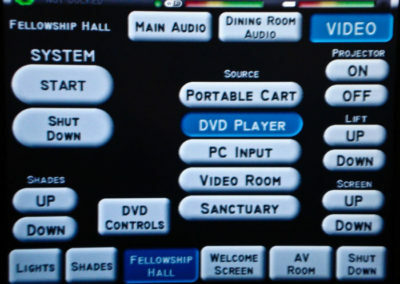 A wireless Crestron touch panel controls all aspects of the A/V system as well as other fixtures, such as the window shades. 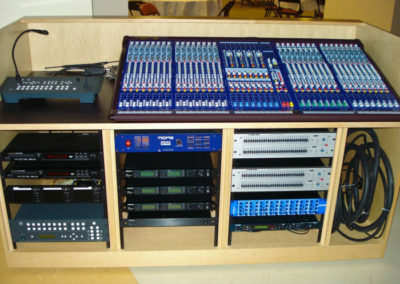 A rolling console desk allows our clients to keep it out of sight when it is not in use, and the multi-pin connector makes for simple plug and play. 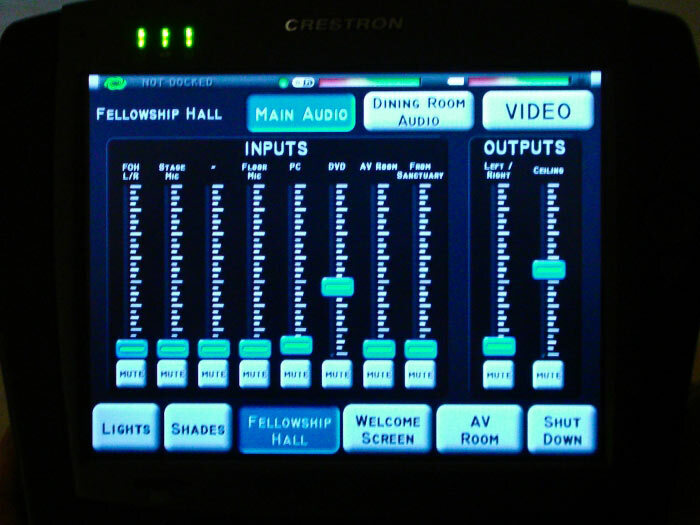 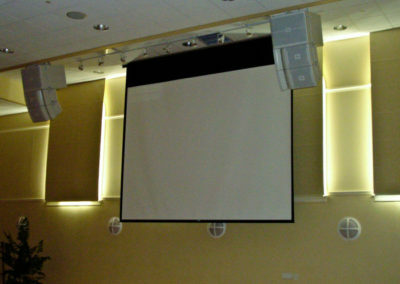 The high-quality audio and video system ties into the rest of the building and into the main sanctuary. 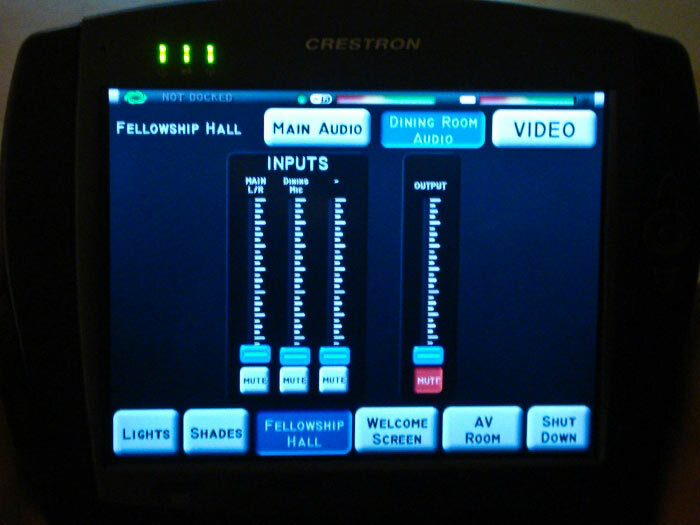 If the main sanctuary attendance overflows into Fellowship Hall, cameras in the main sanctuary are set to provide live video and audio feed into Fellowship Hall.